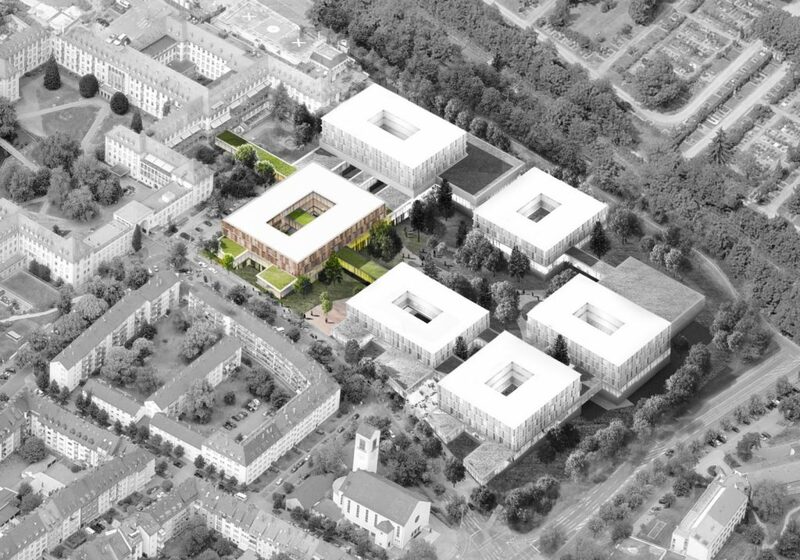 The master plan for the redesign of Freiburg’s university hospital is a reinterpretation of the existing site, using an informal arrangement of linked pavilions surrounded by parkland and symbolising the concepts of health and humanity. The new interdisciplinary tumour center marks the first step in the expansion of the hospital, with its ground floor connected to the existing surgical clinic and with provision for linkage to the new surgical clinic and other buildings as they are constructed. The basic philosophy behind the layout of the hospital is that each building will serve a separate function, with new structures influenced by the vertical emphasis of the surrounding buildings, and the horizontal links between existing structures creating a connecting grid between the different functions. The main floor of the tumour center houses the reception and outpatient clinics, while the ground floor, linked by an inviting open-plan staircase to the main building, contains the outpatient area and consulting rooms. The informal layout ensures that the whole ground floor receives natural daylight from all sides. 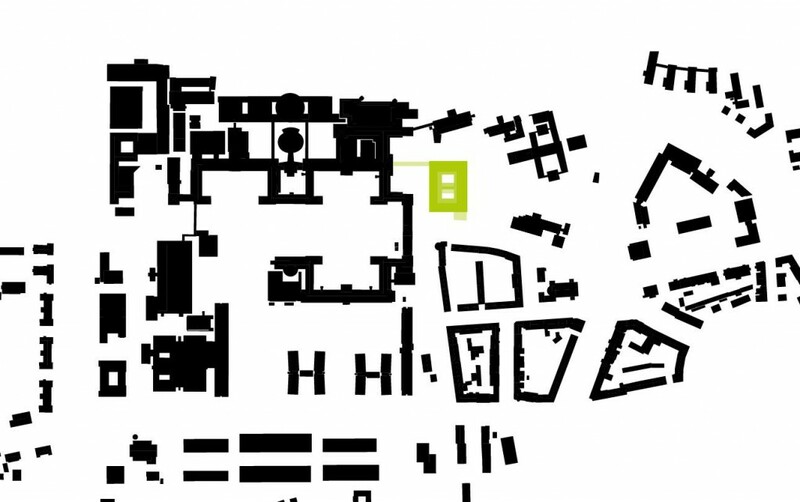 The four wards are located on the first and second floors, and the basement contains the staff changing rooms, stores, and plant areas. The central park provides a place for patients to relax and for students of the university hospital to study. 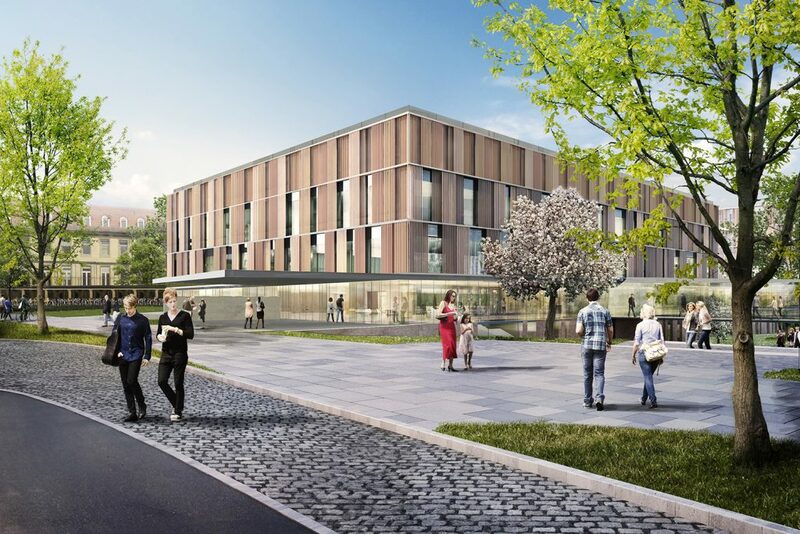 The cube-shaped building follows the line of Hugstetter Strasse, and the small shops within the finger-like structures, connecting with the road and creating a sense of scale, will also be used by inhabitants of the neighbouring residential building, making the hospital even more a part of the community.